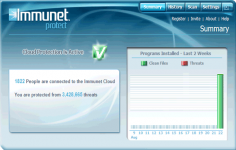 Immunet Protect Free is an antivirus software based on "CloudComputing" experience of a community of users. 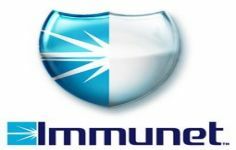 This means that if the software installed on a computer encounters a threat, all of Immunet Protect users are protected against it. Alongwith this benefit, "Cloud Computing"Â has another Â advantage: it increase the speed of the computer while delivers real-time protection against viruses, spyware, bots, worms, trojans, and keyloggers without slowing down the computer. An interesting feature of this software is the compatibility with the existing antivirus products from the same computer for a better protection.